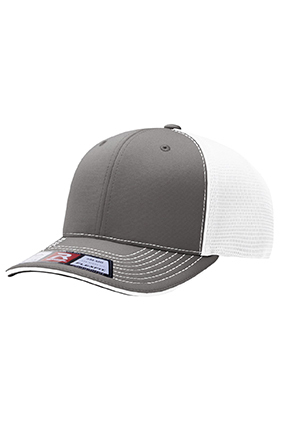 98% polyester/2% spandex sportmesh cap. Structured, mid-profile. Six-panel, pre-curved contrast stitch visor. Sizes: Small/Medium: 7 - 7¼"; Large/XLarge: 7?" - 7?"